For well over two decades, Tech Lighting has been the premier lighting brand of choice for architects, lighting designers, interior designers and design-savvy homeowners who seek the best in premier lighting, whether for new construction, remodeling or redecorating projects, because of our brand’s consistent commitment to delivering refined design combined with uncompromising quality and unparalleled service. 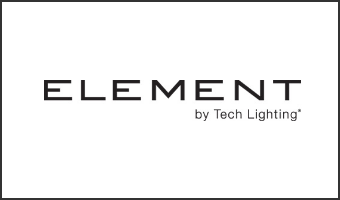 Originally known as the industry leader in low-voltage rail systems and contemporary decorative lighting, the Tech Lighting brand has successfully expanded well beyond our roots, and today the Tech Lighting portfolio offers an expansive selection of lighting solutions, for both residential and commercial applications, across a wide variety of product categories (i.e. low-voltage and line-voltage pendants, wall sconces, ceiling fixtures, flush mounts, linear suspension fixtures, bath bars, specification-grade recessed lighting, LED undercabinet lighting and LED general illumination systems) as well as lamping options (i.e. LED, Halogen, Fluorescent, etc.) — all featuring sophisticated design. As the lighting industry goes through a complete transformation made imperative by energy efficiency concerns and made possible by technological advances, we at Tech Lighting truly embrace the change and strive to be an innovation leader in every facet of our business.